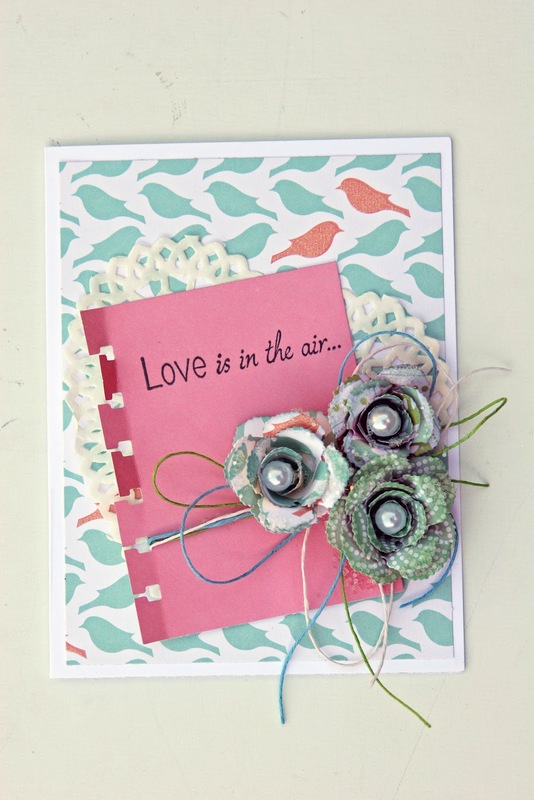 Liz's Paper Loft: Love Is In The Air ~ Card! Happy Friday! I just have a quick card to share with you. Do you ever need to make a last minute card? Well I did last night! All I could think of was, "what cartridge was I going to use?" Well guess what! I didn't use my cricut...I used My Creative Time Dies and Stamps. Easy Peasy! I inked the edges of the flowers before rolling. Then I glittered the edges and added a pearl bead. I attached the flowers over hemp bows. this is beautiful Liz!! 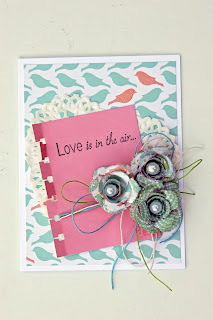 LOVE those flowers and your twine!! Wow, those flowers are just gorgeous!!!! Liz ~ WOW ~ WOW ~ and triple WOW! It is simply BEAUTIFUL! 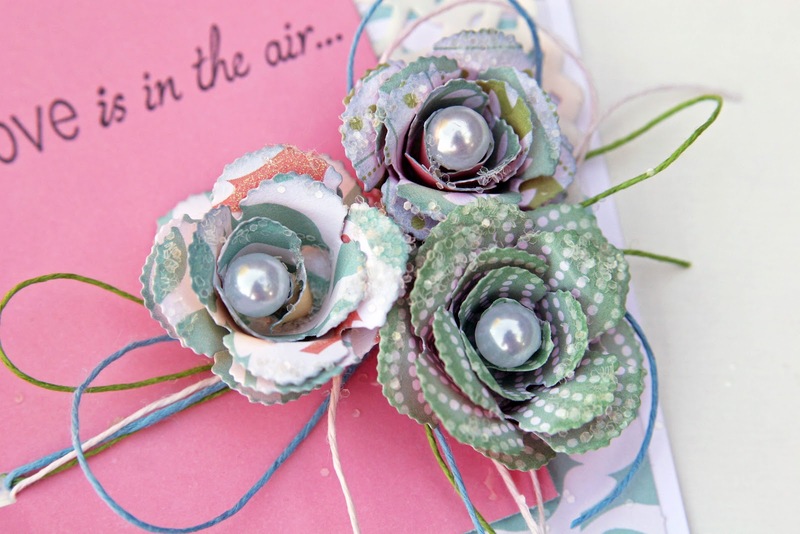 I just LOVE the papers you used for the card and those flowers ~ BEAUTIFUL!!! I just LOVE using my MCT stamps and dies instead of the Cricut!!! Okay see the AWESOME hemp thing you did behind those flowers ~ it looks AMAZING!!! That is what I need a video on! I can't seem to get that look! How do you do that??? Oh I am still stalking the mini album too! I just LOVE that too! This is so beautiful, Liz! 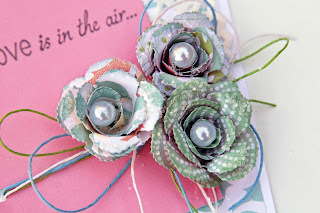 Don't you just love how quickly you can whip something up with MCT dies and stamps and make it look like you spent hours? Your flowers are gorgeous! Love the pearls in the center! Beautiful card Liz! The flowers are so pretty. 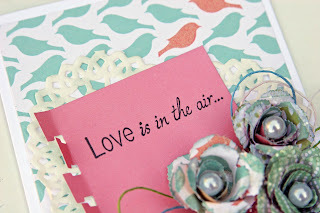 I like the inking and of course the glittered edges:) Great job on this~Love Emma's dies! Perfect flowers and such a beautiful card!! !